This is a stamp by Taiwanese Artist Lin Chia Ning. 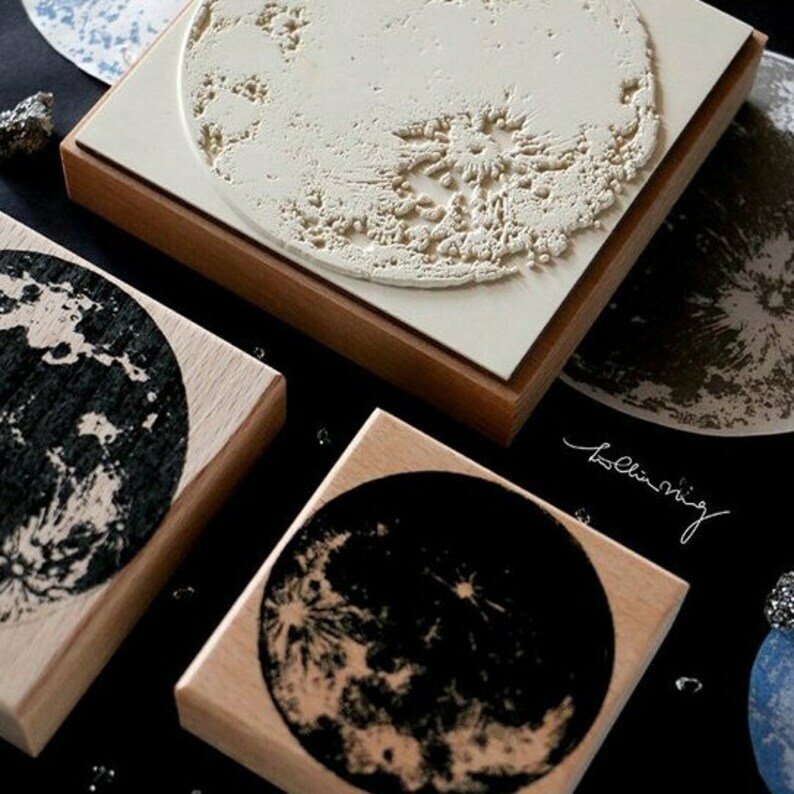 A beautiful rednering of the moon, create all the moon phases by partially inking the stamps. The lunar design is available in 2 different sizes perfect to decorate journals, snail mail, packages, gift tags and more, these stamps are beautifully detailed and perfect for layering. Stamp also includes a pkg of gummed labels. Gorgeous stamp! I love everything LCN! Fantastic customer service!